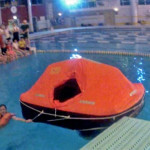 A sea survival session including use of a life raft in the pool. Classroom 19:45-21:00hrs Pool 21:00-22:00hrs We need an idea of numbers for this event so please confirm your attendance ASAP. Many thanks to MKSAC for inviting us to join them at 'Bluey' - their blue lagoon dive site in a nature reserve at Bletchley. 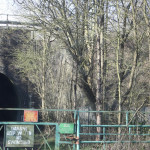 A great location with a good number of attractions to find. 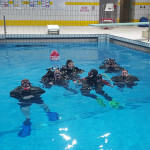 This was a fun and social dive and the first of 2019 for a few of us. Looking forward to a return visit in the future. We are NOT at Hatfield Pool this week. 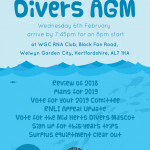 Join us for the AGM at the Royal Naval Association, WGC. 7:45pm for 8pm start. 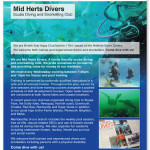 Our club mailer will be printed as required for members to display on local notice boards etc. Please let us know if you have a suitable location to promote our club. There are a few copies in Big Blue.